Mayor Elect, Mr. Rick Milne, speaks to Times’ readers on the 2018 Municipal Election, the results and what’s next. We asked, he answered. The most surprising thing about the election results was the limited number of people that actually voted. The last information I noticed was that only 34 per cent of our community voted. We need to ask ourselves why, and what can we do to improve the vote count for the next time. Personally you never know how the public is really going to vote. You do the best you can to meet people and get the word out and hope it is enough to get the community out to vote. What do you think of the newly-formed Council? I believe that the newly formed council is a good balance of the experienced Councillors and new Councillors. There will be a learning curve and exchange of new ideas. In the end, I believe we will come together to work in the best interest of the community. During your campaign process, what did you learn about the community? Yourself? During the campaign process I learned that campaigns are very hard on the family. With all the avenues of getting your platform out to the public, campaigning is hard work and can occupy a lot of your time that you probably didn’t realize before. At the end of the day, you hope that you did everything possible to get the word out to the community. About the community I found that when talking to the residents that they do care about what is happening in our community. The majority residents are anxious to talk with you while you make your way throughout the community in meeting the residents. What do next steps look like for you? Next steps would be to gather all the Councillors together in an effort to get to know each other a bit better. There will be an orientation meeting with the Town Directors and to review the Code of Conduct along with policies and procedures associated with the council. We must come together as a unit in order to provide the service that the community expects from us. The residents have given us four years to continue improving our community. What would you like to say to all those who supported/voted for you? For those that supported/voted for me I would like to say thank you for the continuous support you have shown to me as your mayor. For the whole community, I promise you that this new council will work hard for you in the four years we have. What advice do you have for the next term of Council? For the next term of Council, I would advise each of the Councillors to know and understand the issues in their ward. Be prepared to represent your ward on these issues. Your job is twofold you not only represent your ward but you also represent the town of New Tecumseth and what is best for both. I would like to thank all of those that entered into this municipal election. Congratulations to the candidates that were elected. Representing your ward and town is a big responsibility and one that I know you will not take lightly. For those candidates that weren’t elected, I would like to say don’t give up. Start now in preparing for the next election. Get yourself involved and engaged with the residents and organizations in the community. 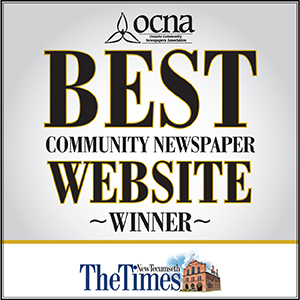 Thanks again to the people of New Tecumseth for your continuous support.